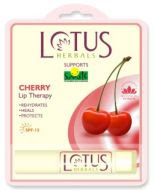 Lotus Herbals has introduced natural lip moisturizers called ‘Lotus Herbal lip therapy’, which has highly active moisturizing ingredients based on botanical extracts. This highly active moisturising formula with high concentration of Shea and Kokum butter, helps to repair dry, cracked and chapped lips and protects them from the drying effect of cold, dry winds of winter, making them look healthier and smoother. You should also try their lip balms. Available in variants such as strawberry, raspberry, orange etc. they are just the ones that your parched lips need this winter. Strawberry lip balm : strawberry extract, honey, jojoba oil, almond oil, wheatgerm oil. Orange lip balm : orange extract, honey, jojoba oil, almond oil, wheatgerm oil. So how do you like the products is it worth the money? I have been hearing good things but i want to know more about the before I make and purchases. Great posts - by you Informative & entertaining at the same time - just what we need! Thank you for all of the work you put into this site. 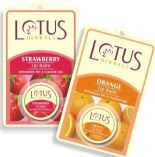 I love Lotus Lip Balm along with another one as well, which is a natural pH balanced SPF 15 Lip Balm that I found out about in this article on Vitamin D Deficiency (http://www.phbalancenaturalskincare.com/vitamin-d-deficiency.html) which my DR just diagnosed me with. I HAVE to go out in the sun everyday now and keep my lips from cracking in the dry winter air with these great lip treatments! I've always wanted to try their products! Aloe Vera Lip Balm-The lip balm prevents the dry, cracked and chapped lips. It is made from the aloe Vera gel which helps in soothing and moisturizing the lips. It also includes Lysine which keeps the lips healthy. It also prevents the lips of the people from the destructive radiations of the sun rays. One should have a glimpse over the lip balm before using it on the lips. By applying olive oil to your lips, you can reduce your chapped lips. Olive oil makes your lips beautiful. You know what works great for dry lips? Olive oil. Seriously just a little bit is perfect, rub it in and you are good to go. You can even do it each night to keep your lips smooth soft and moisturized. It’s cheap too! This looks like a great lip product. Personally, I love it. Great post. I really like your blog. It always helps me decide what to purchase. In cold season, it is smart to remove lipstick with a cotton wad. You can also make special “lip masks” before bed. Apply a thick layer of honey or wipe them with carrot juice. Following these tips will keep cracked lips and cold sores off. petroleum jelly work's very very good! It is thick and bigger than chapstick. So it should probably help! Vaseline works very good too! A little bit of red or orange in the center of the lips makes them look fuller. I exfoliate my lips with a toothbrush about once a month and put lip balm on before going to bed if my lips are dry.